There’s no doubt that we’re quickly moving toward a multi-cloud-dominated world. By the end of 2018, over half of enterprise-class businesses will subscribe to more than five different public cloud services.1 The pragmatic reality for the vast majority of enterprises is that their IT, and thus their data and services, will span multiple data centers and computing clouds. This will accelerate fragmentation of data and systems that have to be seamlessly integrated to yield their full potential. Despite the benefits promised by public cloud, most enterprises can’t realistically move all their data off premises for various reasons—because data sets are too large to move in bulk or because of other preventative regulatory, privacy or security requirements, for example. Even in cases where those constraints don’t exist, the switching costs for legacy systems often do not meet ROI expectations. As a result, the predominant IT pattern for many years to come will be a mix of traditional IT along with a growing collection of multiple private cloud and public cloud solutions, often referred to as hybrid cloud. As the multi-cloud world grows, it is essential for enterprises to determine if their clouds are integrated in the most strategic manner. From both a fiscal and strategic standpoint, to make the most of any cloud platform, it’s imperative that both the valuable data and systems are fully utilized. An increasingly heterogeneous computing environment demands a range of integration approaches that encompass data and applications, as well as message-based and API-based integrations. Doing so will provide optimal access to data and systems wherever they reside. According to a recent IBM study, Growing up Hybrid: Accelerating digital transformation, two-thirds of organizations implementing hybrid strategy report they're already gaining competitive advantage and are nearly three times as likely to use it to assemble data assets or monetize data. Cognitive services on the cloud are delivering insights like never before—from supply chain to client management to marketing. When businesses have data residing on systems and services across multiple clouds, the approach to implementing and overseeing data analytics, however, is not always clear or simple. 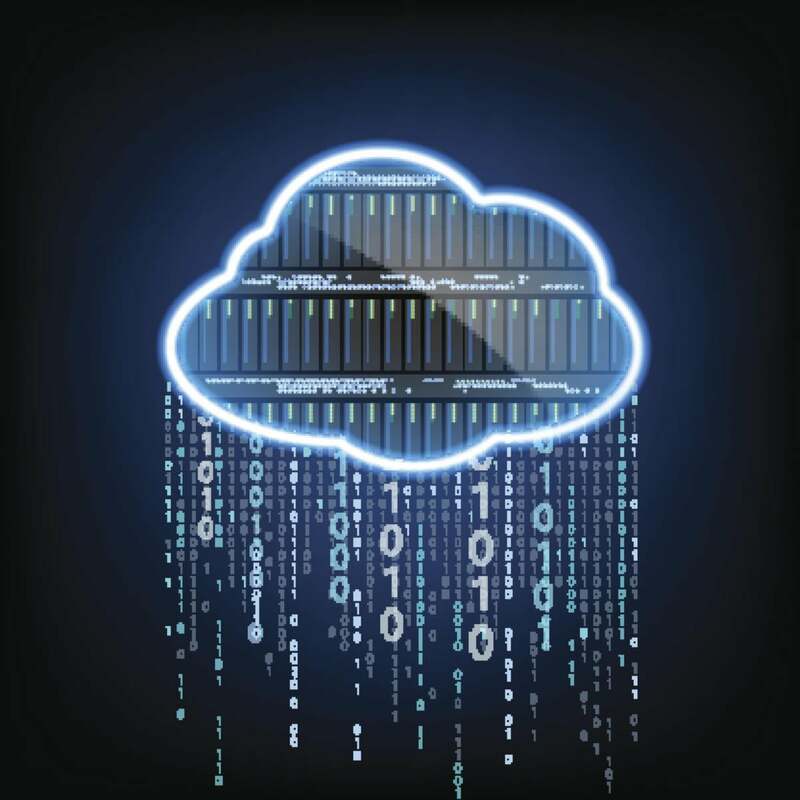 This makes meticulous management of data in hybrid cloud environments especially crucial. No matter how good a cognitive algorithm may be, the quality of its training and analysis are bound by the data it can access wherever that data resides. Banks, for example, keep customers’ sensitive financial information in private clouds where they can best control it. But when a bank offers mobile services, it will need to access data from apps that may be served from a public cloud. The complex mix of data generated from customers’ mobile banking activity, such as average deposit amounts, time spent on page, and money transfer trends, can all be analyzed to improve the customer experience. Thus, if the customer usually transfers "$500 for rent to Bob" each month, the app can learn that habit and open with that transaction as the first option in following visits, saving the customer time. The next logical step in managing multi-cloud environments with data analytics is automating tasks to save time and money. I’m seeing this firsthand as we work with clients to provide tools that break down the walls traditionally associated with running multiple cloud infrastructures, reducing manual processing and providing them with greater access and control. By bringing together and integrating more systems, data and cognitive capabilities with an open cloud platform, we give clients the control they demand. In doing so, companies have a more complete view of what is taking place in real time, enabling them to make timely business decisions. As more enterprises move to the cloud, it is critical that they maximize these investments by centering a strategy around data and leveraging advanced applications in the cloud, such as cognitive applications. Juan Carlos Soto is Vice President of Hybrid Cloud Integration and API Economy at IBM, which includes IBM's API Connect, MQ, IIB, App Connect, DataPower, and Node.js offerings. Previously he was the CEO at StrongLoop, a leader in Node.js for the Enterprise, which was acquired by IBM in September 2015.